People with insomnia can feel like they never get any real sleep, as they have problems falling asleep combined with waking up in the middle of the night, or way too early in the morning. Of course, all of us have sleep issues here and there, but insomnia is a pervasive problem that can affect people almost every night. What is a person to do? 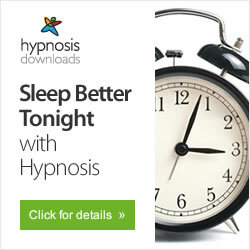 Can hypnosis help you get deep sleep? The University of Zurich, Switzerland tested this hypothesis and found that hypnotic suggestion can, indeed, increase deep sleep. Could meditation help you fall asleep? For those that toss and turn all night long, any solution is worth checking into. Perhaps some of the tricks below will help. Can't sleep? You are not alone. Throughout history, people have come up with some mighty weird insomnia "cures", including eating, drinking - and doing - some incredibly bizarre things just to try to get to sleep. If you are not getting enough sleep, you know that you won’t perform as well mentally. But, did you know that sleep deprivation could also impact your physical health? Eating too much junk food? You just might want to go to sleep then. For two studies - one with call-center employees and the other with workers in the IT field - found that lack of sleep increased stress and, therefore, led to eating junk food. You may think that you can stay up and study or work and get ahead. But - you might want to rethink that strategy. For each day that you don't get sleep, you will suffer. Lack of sleep can greatly affect health and obesity, yet more than 1/3 of Americans do not get enough sleep, according to the CDC. Let's face it, sleep just seems like a waste of time. And we all want to get more done! So, exactly how many hours of sleep can you get by with before you start losing it? Researchers have found the answer. The more people age, the more sleepless nights they have. Does this mean they need less sleep as they age? No, say researchers at UC Berkley. In fact, this lack of sleep shortens peoples' lives by increasing their chance of Alzheimer's, heart disease, strokes, obesity, and diabetes.